It’s been three years since one of the largest fires in the state of Washington started on July 14, 2014. The Carlton Complex Fire consisted of four fires, all ignited by lightning. They destroyed over 250,000 acres, 322 homes and 149 other structures before being contained on July 26. The American Red Cross mobilized immediately to assist survivors who were displaced. Shelters were set up and volunteers from across the country arrived to assist survivors in the immediate aftermath. The summer of 2015 brought a second wave of devastating wildfires to the surrounding area. Back-to-back disasters and a growing number of homes lost in flames further strained already limited resources in the region. It became clear that the scope and duration of wildfire recovery would be immense. Compassionate and generous donors drove successful fundraising efforts. They allowed the Red Cross and other local organizations to not only respond to the immediate needs, but also to create a “Long-Term Recovery” program to support survivors beyond the initial response and recovery period. Kriss Salgado, previously an Executive Director for grief/loss support in her Wenatchee community, took on the role of Eastern Washington Recovery Manager on behalf of the Red Cross, a position she has held for the last 15 months. Kriss was responsible for taking those designated Red Cross donations and distributing them to survivor recovery efforts by working with individuals impacted and community partners. With five affected counties and the area being very rural, it was logistically challenging for Kriss, who traveled up to two hours each day to reach the hundreds of survivors impacted. Kriss speaks very emotionally about the amazing resiliency of the survivors she met. As the 2 and 3-year anniversaries of the wildfires draw closer, Kriss and everyone at the Red Cross is hopeful for a quiet summer without the impact or loss that the season can bring, but are confident they’ll be able to meet whatever need arises. 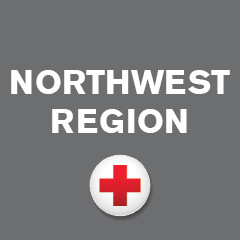 For information on preparing for wildfires, please visit http://www.redcross.org/get-help/how-to-prepare-for-emergencies/types-of-emergencies/wildfire. View an interactive map of US wildfire locations and Red Cross shelters, and learn about how to prevent wildfires and what to do if one occurs.